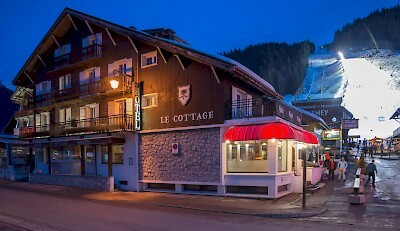 What's on at Le Cottage, Morzine. Events, News & Deals! Things are set for a massive winter at Mountain Mavericks Hotel Le Cottage. Live Music: Every Tuesday, Thursday and Saturday from 3.30pm. We also have daily food specials and drinks deals. Whether you want to come and relax and make the most of the lounge with fireplace – or fancy a more lively après session – Le Cottage, Morzine offers a great environment for any tastes! Stay up to date with everything at Le Cottage via our Le Cottage Facebook.